Suzuki's giant-slaying Jimny driven: Could this be the toughest little 4x4xfar? In a world where most compact SUVs are increasingly being offering without all-wheel drive and tyres inappropriate for even modest wet lawn driving, never mind serious gravel travel, the new Suzuki Jimny has been a revelation. It ranks as one of South Africa’s smallest SUVs, but that size belies a very purposeful configuration: ladder-frame chassis, solid axles, low-range transfer case and off-road ability limited more by the driver’s courage than Jimny’s ability. It might look like a toy, but in skilled hands, Jimny is a serious off-road exploration wagon. That’s why its first month of sales have been so heartening. READ: Suzuki's giant-slaying Jimny driven: Could this be the toughest little 4x4xfar? In a market flooded with SUVs which are ill-purposed to any notion of Safari touring, the Jimny’s amazingly successful launch and initial sales data illustrate that there remain South Africans committed to the concept of a true adventure compact SUV. 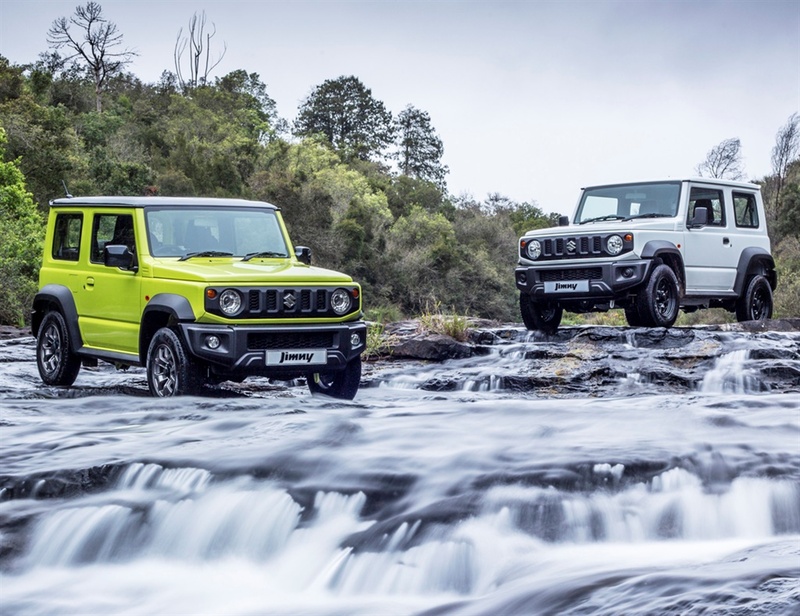 Although global demand has comprehensively overwhelmed Suzuki’s demand planning for Jimny, South Africa still managed to secure and sell 174 units last month. In comparison to November 2017, that’s an increase of 104% year-on-year, when Suzuki only managed to home 85 of the previous generation Jimny. In an environment where the South African Reserve Bank has just increased lending rates, that’s an even more impressive performance. For a vehicle as specialised and niched as it is, triple figure sales are a great indication of customer acceptance. Priced in a bandwidth of between R265- and R320k, Jimny competes with very competent gravel travel rivals such as Ford’s EcoSport and Renault’s Duster. What insulates the Jimny from these competitors is an evolution of its proven off-road ability. Whereas the EcoSport and Duster are regarded as gravel travel vehicles, capable of journeying long distance on poorly maintained dirt roads, they are not true mountain and mud-terrain vehicles. The Jimny? Well, in comparison, its talents only revealed once you engage low-range and venture into terrain where novice off-road passengers start becoming panicked. Suzuki truly has a unique selling point with the off-road ability of its Jimny and South Africa is a global market where that competence comes into its own, unlike many other regions. To see such strong first-month transactional demand for Jimny, was entirely predictable. Although the market for rugged seven-seater SUVs remains robust, with Fortuner leading, those South Africans who don’t yet have kids, or have seen them graduate and are empty-nesters, find all the desired capability in a Jimny. It offers all the extreme terrain touring ability, without heavy fuel cost or parking inconvenience, which are both real issues when owning one of the larger seven-seater off-road capable SUVs. Is there any rival to Jimny? Something to judge its amazing first-month demand volumes against? Well, perhaps the Mahindra Thar could be tabled as a rival of sorts, a smallish 4x4 wagon which also featuring low-range gearing for demanding off-road work. But even priced at R230k, the Thar’s November sales were a mere 12 units, which shows that if you want a compact 4x4 wagon for demanding off-road work and liveable urban commuting, there’s only one choice – and it is the latest Suzuki Jimny.